This was one those cases where the overzealous Attorney General of MA Martha Coakley (she is no longer the AG) was bragging about and pointing as one the largest payouts by a single landlord regarding a Craigslist ad. This ad was placed by attorney Nicholas Keramaris and George Keramaris (his father) saying in part: “Note that this apartment is not deleaded, and therefore it cannot be rented to families with children under six years old.” He was just trying to be a good guy and protect children but as we all know no good deed goes unpunished and so a Melrose mother filed a complaint with the MCAD alleging that the ad was discriminatory though she did not have a child under the age of 6 years nor did she attempt to even rent the apartment. Immediately after the MCAD filing he removed the ad. It was online only for about 8 days. No one was harmed. That, needless to say, did not stop Martha Coakley to pursue 93A against this landlord. He was made to pay $10,000 in civil fined under 93A, sec4 and $27,930 in attorney fees. Unlike many other landlords who have been wronged, Attorney Keramaris appealed. On 2-2-15 the Appellate Court reversed all of that saying that there was no 93A because no one was actually injured. Would this court been so nice to another random landlord if he wasn’t one of their own – an attorney? I don’t know. They even did something which higher courts intentionally avoid to do – to say how they would have ruled in a hypothetical situation – “even if we had found a c. 93A violation, we would conclude that the fines (of $10,000) were excessive”. In any case this is good news for landlords in MA. At this point one thing is clear – the AG must edit their 93A regulations to match what the new law is in MA – that there is no 93A without an actual injury. They have not been updated since 1978. The Attorney General sued Nicholas Keramaris, Mt. V.M. Realty Trust, and George Keramaris, as trustee of the Mt. V.M. Realty Trust (hereinafter referred to, on occasion, as the “Keramaris defendants”), for posting two discriminatory housing advertisements on the Internet Craigslist Web site for eight days, which sought to exclude families with children under six years of age from renting an apartment because of the presence of lead paint. G. L. c. 151B, § 4(7B). The amended complaint also pleaded a violation of G. L. c. 93A, § 2, for the aforesaid discriminatory advertisements, as well as a violation of the lead paint statute. A Superior Court judge entered summary judgment for the Commonwealth on all counts. In conjunction with that ruling, the Superior Court judge entered an injunction ordering the Keramaris defendants to delead. The judge imposed a $10,000 civil fine under G. L. c. 93A, § 4 (the statutory maximum of $5,000 per advertisement). Lastly, the motion judge awarded the Attorney General $27,930 in attorney’s fees pursuant to the G. L. c. 93A violations. This was $8,330 more than the $19,600 request filed by the Attorney General. Because we conclude that there was not a G. L. c. 93A violation, we reverse paragraphs one and two of the judgment imposing a civil penalty and awarding attorney’s fees. The following facts are taken from the summary judgment record. Through the Mt. V.M. Realty Trust, Nicholas Keramaris and his father, George, own a twenty-unit apartment building at 3 Mount Vernon Street in Melrose. When the Keramaris family purchased the property in 1979, all of the apartments contained lead paint. As of the commencement of this suit, only five of the apartments have been deleaded. On June 25, 2010, a Melrose mother filed a complaint with the Massachusetts Commission Against Discrimination (MCAD), alleging that the advertisements were discriminatory against families with children. This complainant did not have a child under six years of age, nor did she attempt to rent the advertised apartment. Accordingly, the MCAD split its decision, finding probable cause on the basis of the advertisement and lack of probable cause as to the complainant. Immediately after the MCAD filing, Nicholas removed the offending language from the rental advertisements. In total, the advertisements with the discriminatory term had run for approximately eight days. Notwithstanding the MCAD dismissal of the complaint and the correction of the advertisements by Nicholas, the Attorney General brought this suit for engaging in discriminatory and unlawful housing practices. It is clear that there was a violation of G. L. c. 151B, § 4(7B), because, on the face of the advertisements, there was a prohibition on rental to families with children under six years of age because of lead paint. However, the Commonwealth’s position that the discriminatory advertisements, in turn, gave rise to a G. L. c. 93A violation cannot be sustained. The motion judge here observed, “[u]nder 940 Code Mass. Regs. § 3.16(3), conduct which `fails to comply with existing statutes, rules, regulations or laws, meant for the protection of the public’s health, safety, or welfare promulgated by the Commonwealth or any political subdivision thereof intended to provide the consumers of this Commonwealth protection’ is a violation of G. L. c. 93A, § 2.” The motion judge concluded that, because there had been a violation of G. L. c. 151B, § 4(7B) there had also been a violation of c. 93A. The summary judgment motion was decided before the Supreme Judicial Court issued its decision in Klairmont v. Gainsboro Restaurant, Inc., 465 Mass. 165 (2013), which made clear that such a violation did not constitute an automatic violation of c. 93A. The Klairmont case involved a violation of the State building code as well as a violation of 940 Code Mass. Regs. § 3.16(3). The court in the Klairmont case determined that the regulation cannot be read as expansively as the motion judge read it here. The court specifically noted that “the judge [below] misstated the law” when she held that the violation of the building code was a per se violation of c. 93A. See Klairmont, supra at 174 n.16. In the recent case of McDermott v. Marcus, Errico, Emmer & Brooks, 2014 U.S. App. LEXIS 24512 (1st Cir. 2014), the Court of Appeals for the First Circuit stated: “The lesson of Klairmont may be summed up as so: the Massachusetts Attorney General’s regulatory authority to `make rules and regulations interpreting’ Chapter 93A, § 2(a),. . . does not extend so far as to permit her to allow a plaintiff to show that a defendant has violated an independent statute in lieu of satisfying Chapter 93A’s substantive requirements of showing the complained-of act was both unfair and deceptive and that it occurred in trade or commerce.” See Patterson v. Christ Church in the City of Boston, 85 Mass. App. Ct. 157, 165-167 & n.14 (2014). There is no question that the advertisements here satisfy the requirement of occurring in trade or commerce. The publishing of the advertisements for a period of approximately eight days where no person incurred any harm does not, however, meet the requirement of being either unfair or deceptive within the meaning of c. 93A. In Klairmont the court concluded that there had been a violation of c. 93A even though it could not be based on a violation of the regulation. In that case an inebriated bar patron fell down a flight of stairs that had been out of compliance with the building code for over twenty years. The court stated: “The defendants’ conduct in this case was unfair within the meaning of § 2: the defendants consciously violated the building code for more than twenty years, thereby creating hazardous conditions in a place of public assembly where alcohol is served to commercial patrons. The potential for danger, and even death was clear.” The facts in this case do not come close to being as egregious as those in Klairmont or to meeting the c. 93A standard. As a consequence, those portions of the judgment must be reversed. Although the fines will not stand, we note that, even if we had found a c. 93A violation, we would conclude that the fines were excessive. We review the entry of civil penalties under G. L. c. 93A to determine whether there was any abuse of discretion. See Commonwealth v. Fall River Motor Sales, Inc., 409 Mass. 302, 308-309 (1991). It is provided that a civil penalty of not more than $5,000 for each violation, may, in a judge’s discretion, be imposed for each separate statutory violation. 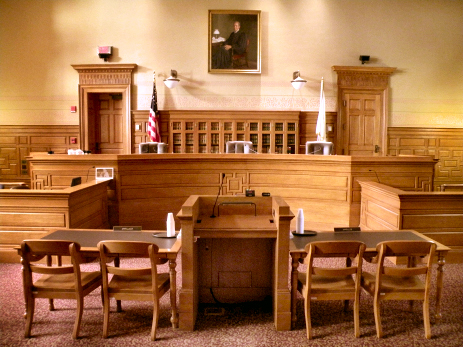 However, in the exercise of that due discretion, and to fairly determine the size of a penalty, a judge must weigh “(1) the good or bad faith of the defendants; (2) the injury to the public; (3) the defendant’s ability to pay; (4) the desire to eliminate the benefits derived by a violation; and (5) the necessity of vindicating the authority of the [Commonwealth].” Commonwealth v. AmCan Enterprises, Inc., 47 Mass. App. Ct. 330, 338 (1999), quoting from Commonwealth v. Fall River Motor Sales, Inc., supra at 311. We summarize these AmCan factors below in respect to these maximum fines. This summary judgment record, we conclude, does not warrant a double maximum fine for each of the identical advertisements. First, there is no evidence that the Keramaris defendants, particularly the main actor Nicholas, acted in bad faith. To the contrary, from all that appears of record, while Nicholas inadequately researched the applicable laws concerning lead paint and rental apartments and reached an erroneous opinion of what the laws required, the record indicates that Nicholas made a good faith mistake. Indeed, the Commonwealth conceded at oral argument that Nicholas believed his advertisements complied with the law when he posted them. Furthermore, Nicholas quickly corrected the advertisements when he received notice of his error by means of the MCAD complaint. Second, the limited risk of public injury in this case also does not support the maximum fine. The advertisements only appeared on Craigslist for a short time — approximately eight days. There is no evidence that the advertisement dissuaded any member of the public from attempting to rent the apartment or that the defendants refused to rent to applicants with children. To be compared are the more serious public injury effects in Fall River Motor Sales, Inc., supra at 312-313 (defendant purposefully violated a consent judgment and obtained over $100,000 as a direct result of his illegal advertisements that misled consumers about pricing); Commonwealth v. Source One Assocs., Inc., 436 Mass. 118, 130 (2002) (defendants stole and sold personal confidential financial information over 1,000 times); AmCan Enterprises, Inc., 47 Mass. App. Ct. at 339-340 (defendants tricked over 7,000 Massachusetts business consumers into advertising in their fake “Yellow Pages” and by the fraudulent practice gained $700,000); Commonwealth v. Chatham Dev. Co., 49 Mass. App. Ct. 525, 529 (2000) (landlord charged his tenants unlawful fees). In contrast to these cases, here, the Keramaris defendants, and particularly Nicholas, did not engage in such egregious bad acts. And, as previously noted, there was not bad faith, and the advertisements were quickly corrected. Consequently, even if we had found a c. 93A violation, we would have significantly reduced the fines that were imposed. Paragraphs one and two of the judgment are reversed, and the judgment shall be amended to provide that the defendants are entitled to judgment in their favor on the claims for a civil penalty and attorney’s fees pursuant to G. L. c. 93A. The remaining paragraphs of the judgment are affirmed. Mt. V.M. Realty Trust; George Keramaris, trustee of the Mt. V.M. Realty Trust. The panel is listed in order of seniority. On appeal, the Keramaris defendants argue that (a) the Commonwealth lacked standing to bring suit; (b) the judge erred in refusing to hold an evidentiary hearing before entering summary judgment; (c) the Commonwealth was not entitled to an injunction ordering deleading of the subject apartment; (d) the judge’s imposition of the maximum civil penalty of $10,000, in the circumstances of this case, was not warranted and was excessive; and (e) the judge abused her discretion in awarding the attorney’s fees which were close to thirty percent over what the Attorney General had requested. Nicholas Keramaris appears pro se in this appeal. Nicholas Keramaris filed an election for judicial determination of the complaint. We conclude that the Attorney General had standing to bring this case. It is interesting to note that another section of the lead paint law, G. L. c. 111, § 197A(e), provides that a violation of that section, 197A(e),is a violation of c. 93A. The section pertaining to advertising, which is at issue here, is § 199A; it does not contain a similar provision. The defendants also complain about various aspects of the injunctive relief that was awarded. We decline to disturb those rulings. Although not in issue because of our ruling, we similarly conclude that the amount of attorney’s fees awarded was excessive. The amount was greater than the amount requested by the plaintiff, and we would have reduced the attorney’s fee award even if we had concluded that there was a c. 93A violation.